If you&apos;re interested in one-of-a-kind, handcrafted items, Bucks County has four unique attractions that are sure to delight! Start your tour at the home of the world-famous Byers&apos; Choice Caroler® figurines, make your way to a medieval inspired castle-like museum and tour a National Historic Landmark. • Begin your trip at Byer&apos;s Choice, famous for their unique, handcrafted Caroler figurines. For more than 35 years, teams of skilled artisans have continued the tradition of making each Caroler by hand. While these figurines are popular around Christmas time, their Christmas Museum and visitor&apos;s center are open year-round, so you can plan your group tour at any time! Start by strolling down a life-sized cobblestone street scene taken right out of Charles Dickens&apos; London. Afterwards, head into the Christmas Museum, with displays of Carolers old and new, as well as depictions of Christmas traditions from around the world. Make sure you stop by the observation deck where you can watch Byers&apos; Choice artisans bring the Carolers to life. 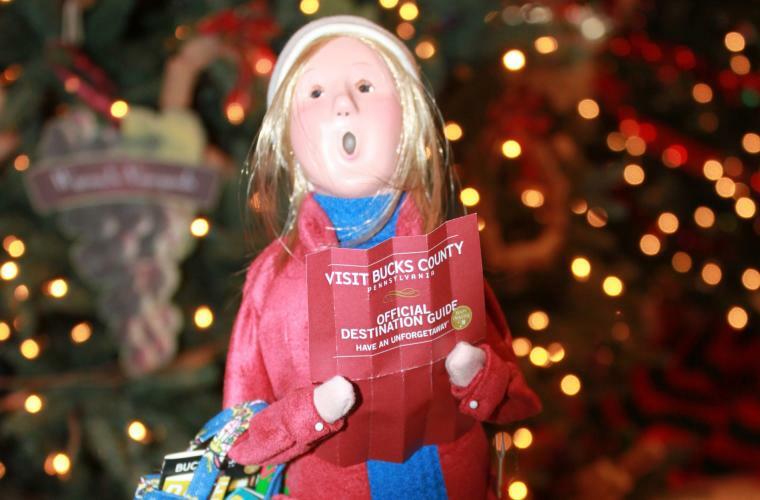 When you&apos;re done, visit the gift shop and check out the Limited Edition Visit Bucks County Caroler, available for purchase! • Step back in time at the Glencairn Museum, a medieval inspired castle-like museum in Bryn Athyn&apos;s National Historic Landmark District. Take the Highlights Tour to see all the best the museum has to offer. This 90 minute guided tour starts with a 15 minute, award-winning orientation video. You&apos;ll then take a ride in the original elevator to the Tower. With its stunning view of the local area and the Philadelphia skyline, you&apos;ll definitely want to have your camera ready! The tour also includes the Pitcairn family&apos;s Chapel and the Master Bedroom, a variety of art galleries showcasing the Museum&apos;s collection of religious art and a visit to Glencairn&apos;s breathtaking Great Hall and Upper Hall. Stay and explore the rest of the Historic District featuring the spectacular architecture and gardens at Cairnwood Estate, the gilded-age Beaux Arts historic mansion and the Gothic-Romanesque Bryn Athyn Cathedral. • Don&apos;t forget to make room in your packed schedule for lunch! The Garden Terrace Restaurant at Spring Mill Country Club is conveniently located in Ivyland and open to the public for lunch and dinner, Tuesday through Sunday. With floor to ceiling windows, take advantage of the fantastic views of the course&apos;s landscape while you enjoy your meal. This ideal spot can easily accommodate large groups and offers options for every taste and budget. • Head up north to Plumsteadville for a stop at Malmark Inc., the world&apos;s premier handbell and hand chime manufacturer. 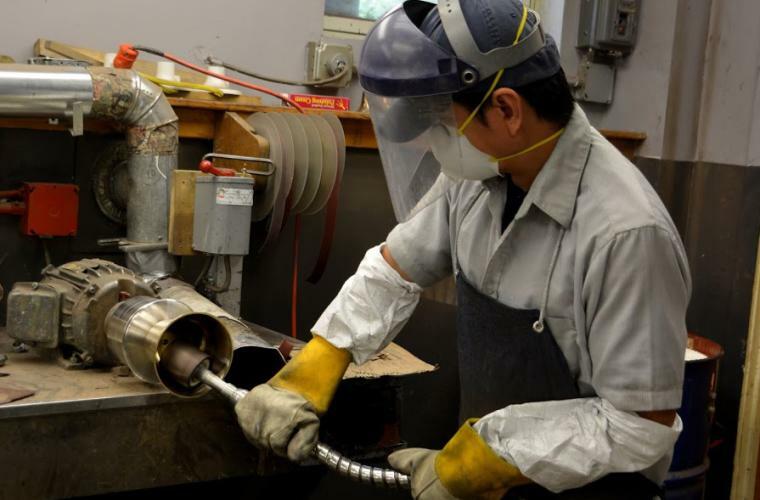 Take a tour to see the step-by-step process for how handbells, chimes and other musical instruments are made, beginning at the lathe, to the polishing room and onto the voicing room. Malmark has something for everyone: music, physics and an opportunity to see U.S. Manufacturing, up close and personal. During your tour, you&apos;ll even have the chance to ring the largest handbell in existence! • End your day at Moravian Pottery and Tile Works, a National Historic Landmark that operates as a "working history" museum. Handmade tiles are still produced in a manner similar to that developed by the pottery&apos;s founder and builder, Henry Chapman Mercer who directed work at the pottery from 1898 until his death in 1930. The museum invites you to take a self-guided tour through the facility, where you&apos;ll see original installations, various displays, and selected aspects of current tile production. You can also purchase handmade reissues of tiles and mosaics made in the American Arts & Crafts tradition.